Romance novels come in a wide variety these days: contemporary, historical, paranormal, inspirational and suspense to erotica. 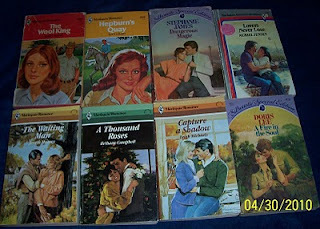 I first started reading Harlequin romances when I was a teenager back in the 70's. I just happened to come across a few I saved in one of my stored book boxes the other day. These are from 1978 to 1986. The pages are slightly yellowed and it was fun to look back through them. Brought back memories of the time. 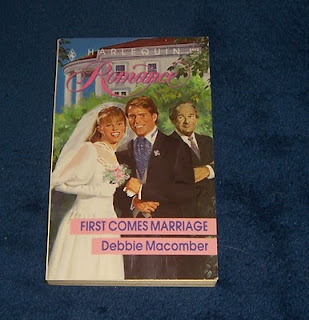 Then I was going through the boxes of books we had inherited from my hubby's mom and found this gem. 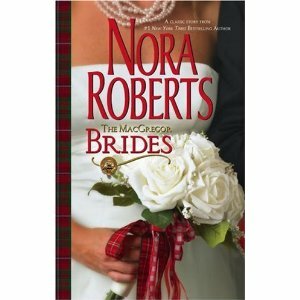 I feel in like instantly, read through the whole Macgregor series and then went on to read her other series and standalones. 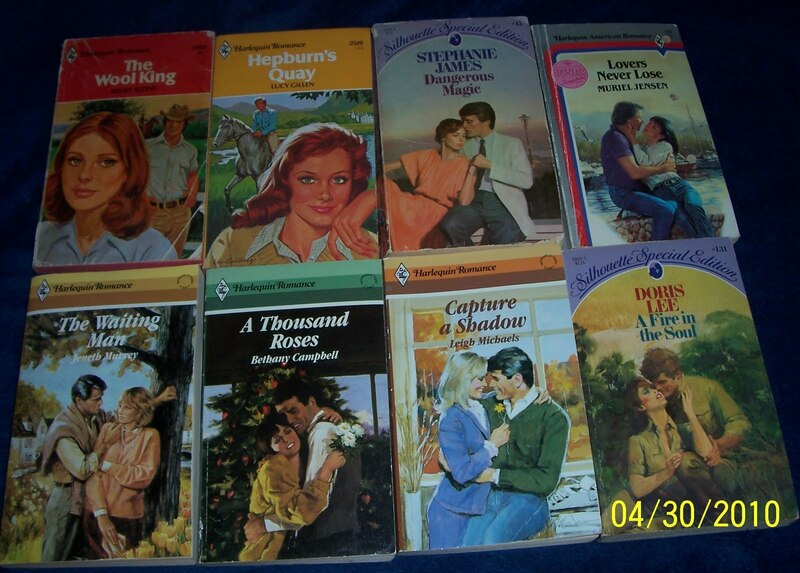 Thank goodness for my local used bookstore having a wonderful romance section. I have since read almost everything she has written including her In Death series (read it twice) which she wrote under the pen name of J.D. Robb. She restored my faith in good romance stories that aren't cheesy. I soon came to find out she is the Diva of Romance novelists. Her novels range from pure romance to suspense to paranormal to futuristic. Each trilogy or series is unique and the characters - they grow on you and by the end of each book or series, you're left with a warm cozy feeling and really don't want the story to end. 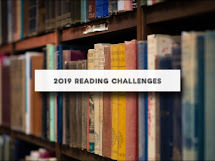 Which just makes you want to read them again and again. 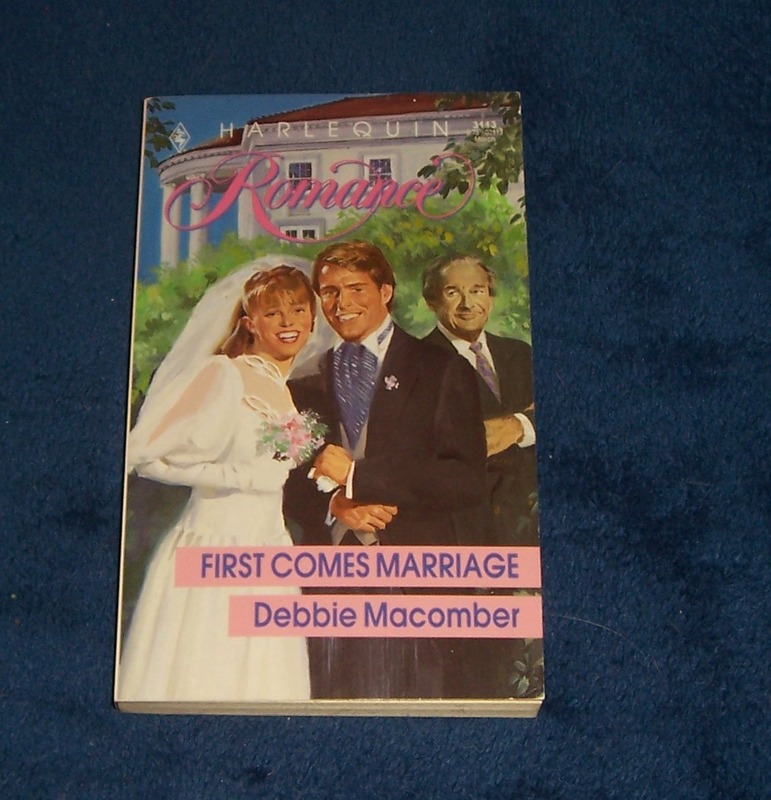 I just finished reading the 3rd book just released on April 27th (thank you - Amazon) in her most recent series, the Bride Quartet, Savor the Moment. My daughter is getting married soon, and I think The Bride Quartet would make a fun gift! I can't remember the last romance novel I read, but I did recently read Some Wildflower in my Heart and though it wasn't a romance it had elements of the best sort of love story. I guess I went crazy with reading about Ireland, the Irish, and St. Patrick. It was fun though! I have been catching up on posting my links on mr.linky..sorry I have missed so many!